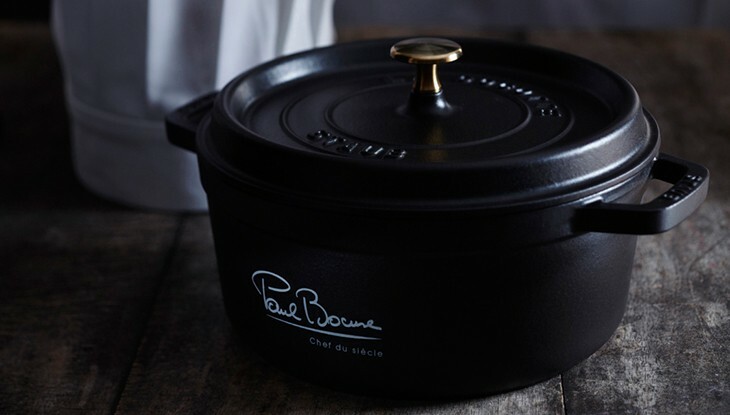 STAUB, the prestigious traditional company from Alsace and the famous Michelin star chef Paul Bocuse from Lyon have been working together faithfully through their love of French cooking since 1998. The cast iron Cocotte so much loved by fans of culinary delights has always stood center stage in these creative collaborations. 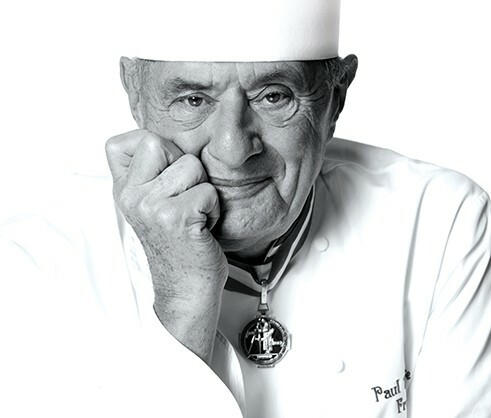 To celebrate this small anniversary, Paul Bocuse received a unique Cocotte which documents the particular esteem in which Paul Bocuse is held by his colleagues across the world. This Cocotte will have pride of place in the restaurant of this great Michelin-starred chef "L‘Auberge du Pont de Collonges" near Lyon. 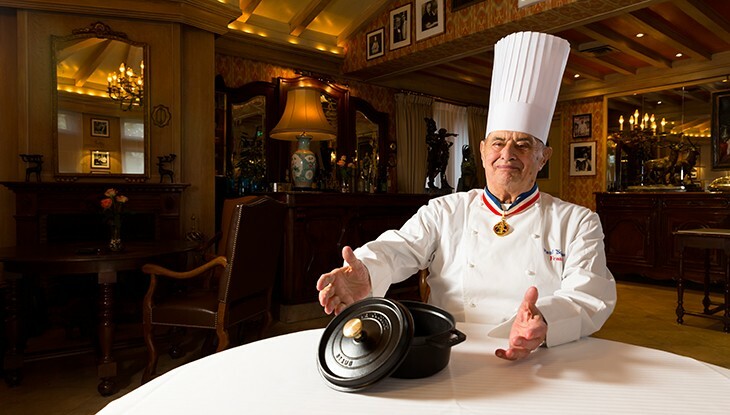 From the very beginning Paul Bocuse recognized the functionality and visual quality of STAUB products. The distinctive enameling together with the high performance of cast iron material enable the perfect preparation of an almost infinite variety of culinary delicacies. 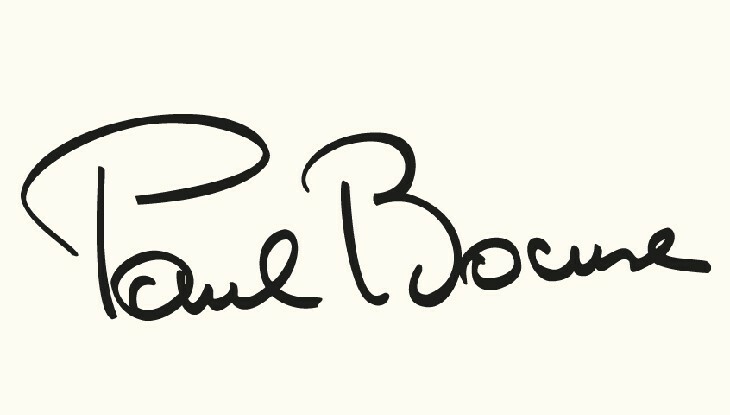 After a few years of this close collaboration, Paul Bocuse was appointed the official ambassador for the STAUB Group and its products. 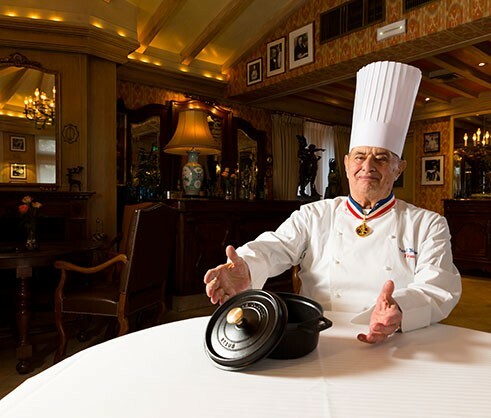 This appointment was followed by a Cocotte with a unique design and then by a series of gourmet recipes developed with creativity and passion in the Paul Bocuse Institute. Michael Gordner, kitchen business unit Board Member of the ZWILLING Group, to which the traditional company STAUB has belonged since 2008, enjoys spending his time in the Restaurant-Kitchen of this ingenious chef. "There's no better way to test the quality of our products than to test them in Paul Bocuse's kitchen. As a holder of three Michelin stars since 1965, almost half a century, he can look back on a remarkably successful career. And the fact that he is using cast iron products from STAUB in his kitchen is a real honor for us!" Every day the high-quality STAUB products give their very best in the legendary Bocuse kitchen in Lyon to produce tender vegetables, meat and sauces. The cooking star Paul Bocuse confirms this. "French cuisine would not be what it is today without all these dishes which cook slowly in a Cocotte. STAUB Cocottes are really well-designed, high-performance products." And to duly celebrate this 15-year collaboration, the Michelin star chef was presented with a very special Cocotte. 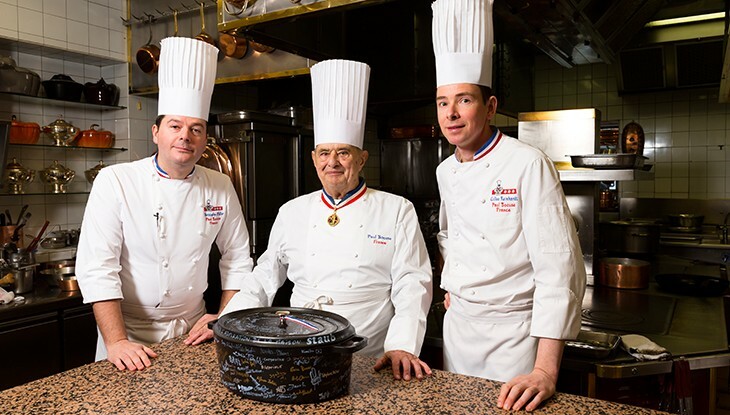 As part of the Bocuse-d'Or competition in 2013, the most coveted award for rising stars towards (cooking) heaven, almost 200 professional chefs from across the world signed a black oval Cocotte which now has its place of honor in Bocuse's restaurant. 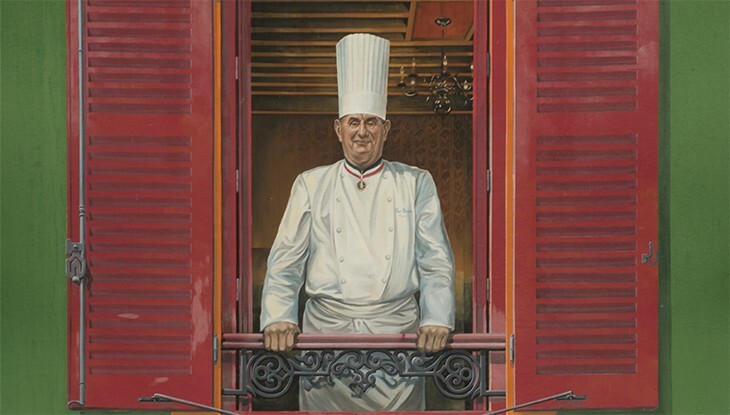 It sits there as a tribute to the friendship and recognition of the profession of a man who for decades has been the leading figure in France for sophisticated French cuisine. 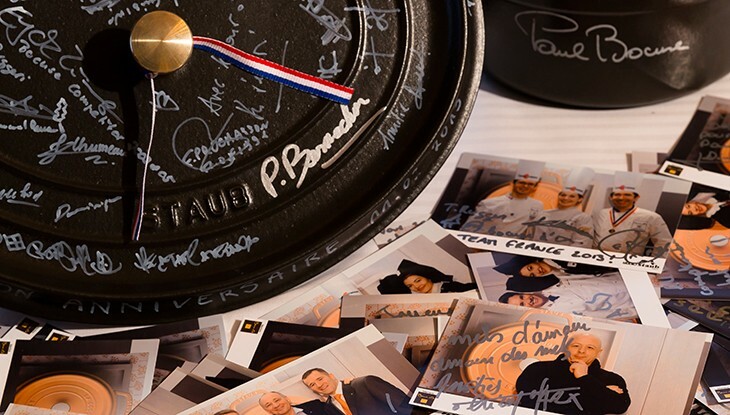 STAUB visited Paul Bocuse to duly celebrate this 15-year close collaboration and also his birthday. Click on the video to join in the celebrations!